Martin Scorsese Brings Part Of Entourage To Life – Expanding your culture, one touch at a time. Yes, folks, that is something Martin Scorsese might be interested in. According to Rolling Stone, Scorsese is “attached to direct a new movie about the Ramones”. Unfortunately, Vinny Chase will not be starring in the movie, nor will be Bob Ryan be producing it. But this is definitely a movie I would be interested in. Anything Marty touches turns to gold and he always comes equip with an all-star cast. The Ramones had influence on the New York City punk lifestyle and their influence spread rapidly. 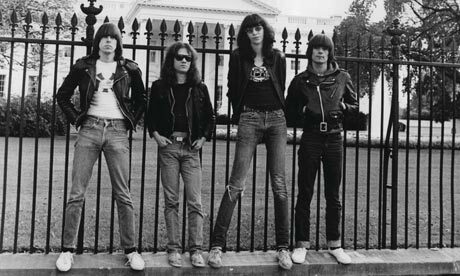 The Ramones truly expanded people’s culture and a movie about them would be a great way to bring that to light. But like any Italian, Marty has a full plate. It is the final season of Boardwalk Empire, which he is the executive producer for. Marty is also working a TV adaptation of the 2002 film Gangs of New York as well as the 2010 film Shutter Island. And to put the cherry on top, the Frank Sinatra biopic needs to be worked on. Who knows? This could be pan out just like the movie did and just be a script that never gets put to life. But with Marty’s passion, I think he will find a way to make this something we are all interested in.